This weekend is the Miami Book Fair. If you are within driving distance and you love books – this is one of the events not to miss. Three of the ECWC faculty for the 2011 conference will be there, too. Be sure to stop by! 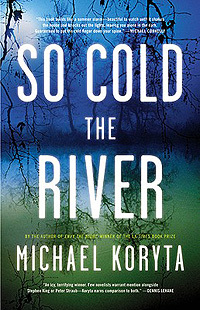 Michael Koryta’s latest novel is the supernatural thriller, So Cold the River (Little, Brown & Company). The story is set in the West Baden Springs Hotel—which, as eerie hotels go, gives the one featured in The Shining a run for its money—and the evil that flows beneath it in the appropriately named Lost River. Publisher’s Weekly termed the story an example of “some of the best recent works of supernatural horror.’’ Koryta is the author of five previous novels, including Envy the Night, which won the Los Angeles Times Book Prize for best mystery/thriller, and the Lincoln Perry series, which has earned nominations for the Edgar, Shamus and Quill awards. 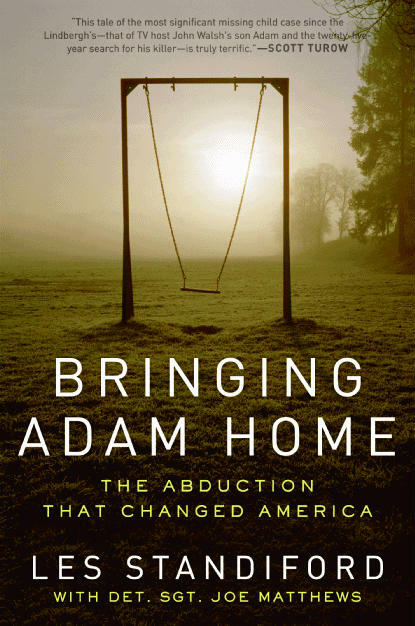 As Les Standiford makes abundantly clear in Bringing Adam Home: The Abduction that Changed America (Ecco, $24.99), there are two periods of history that pertain to missing and endangered children in the United States: Before and after Adam Walsh. In the aftermath of that six-year old’s abduction and slaying in 1981, everything about the nation’s regard and response to missing children changed. Buried beneath the devastating and game-changing crime, however, Standiford reveals an uplifting aspect to Adam’s story—the 27 years of undaunted effort by Miami Beach Homicide Detective Joe Matthews to track down Adam’s killer and bring justice to bear at long last. Bringing Adam Home tells the story—the good, the bad, and the ugly—of what it took for one cop to accomplish what an entire system of law enforcement could not. Standiford is the author of numerous works of nonfiction, including Last Train to Paradise: Henry Flagler and the Spectacular Rise and Fall of the Railroad that Crossed an Ocean; and The Man Who Invented Christmas: How Charles Dickens’s “A Christmas Carol” Rescued His Career and Revived Our Holiday Spirits; as well as ten novels, including the John Deal mystery series. Is Life Like This? 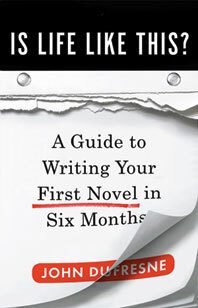 A Guide to Writing Your First Novel in Six Months (W.W. Norton, $15.95), is John Dufresne’s smart, practical, hard-nosed guide for the person who has always wanted to write a novel but has been daunted by the sometimes chaotic, always challenging writing process. A patient teacher and an experienced writer, Dufresne focuses his expertise and good humor on helping aspiring novelists take their first tentative steps. “Dufresne’s guide to fiction is filled with a can do spirit that’s sure to infect would-be novelists who read it,” says, The Writer . Dufresne is a professor at Florida International University and the author of the novel Louisiana Power & Light, a Barnes & Noble Discover Great New Writers selection and a New York Times Notable Book of the Year. He is also the author of two short story collections, The Way That Water Enters Stone and Johnny Too Bad; and the novels, Love Warps the Mind a Little—also a New York Times Notable Book of the Year—Deep in the Shade of Paradise; and most recently, Requiem, Mass; as well as the fiction writing guide, The Lie That Tells a Truth. And, be sure to stop by and see a conference alum, Lily Prellezo, who will also be featured at the Miami Book Fair. 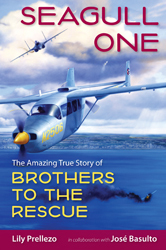 In Seagull One: The Amazing True Story of Brothers to the Rescue (University Press of Florida), author Lily Prellezo tells the story of José Basulto, a Cuban exile and Bay of Pigs veteran, and the unlikely union of men and women representing nineteen different nationalities who joined together to fly their ragtag collection of Cessna airplanes over the Florida Straits in search of rafters fleeing Communist Cuba. Congrats to ECWC alum, Bobby Sauro, whose story “Athena Barrabas” is now up on Burnt Bridge. You are currently browsing the Writers in Paradise Alumni blog archives for November, 2010.